TORONTO, ON, August 3, 2016 – Toyota Canada Inc. (TCI) is continuing to sell record numbers of hybrid vehicles to Canadians. Following the best month ever for hybrid sales in June, TCI reached a new record for July, with a total of 1,705 hybrids sold, up 36.9% compared to last year. It was also a July record for Toyota brand hybrids, with 1,553 units sold, up 46.9% compared to 2015. Hybrid vehicles represented 9.3% of TCI’s total sales for the month. Overall, TCI sold a total of 18,272 Toyota, Lexus and Scion vehicles in July, down 0.4% compared to last year. 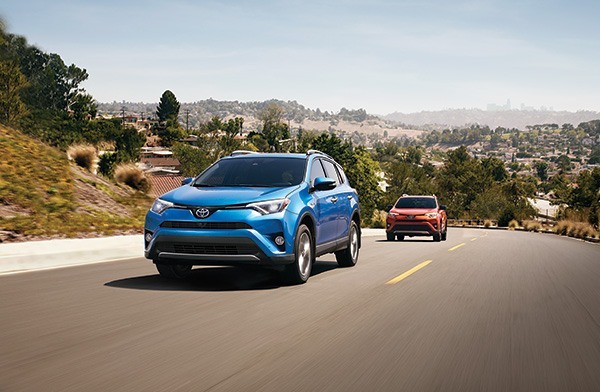 The Toyota division (including Scion) recorded July sales of 16,389 units, down 0.6% compared to 2015, while the Lexus division recorded total sales of 1,883 units for a new July record, up 1.1% compared to last year. TCI also set a record for truck sales for the 19th straight month, with 11,142 units sold, up 12.5% compared to 2015. That included July records for the sales of Toyota trucks, with 9,867 sold, up 12.8% as well as Lexus luxury SUVs, with 1,275 sold, up 10.4% compared to last year.